Filled with luxuriously soft white goose down with a 700 fill power, this European Heritage Krakow pillow will help any type of sleeper sink comfortably into sleep every night. 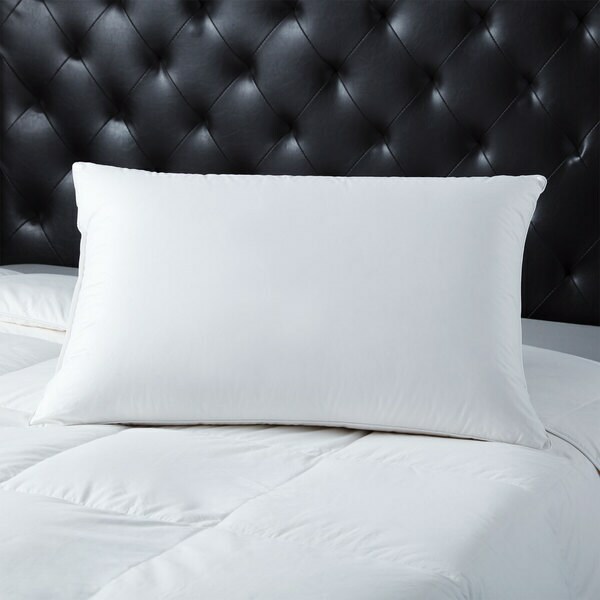 With a sateen cotton shell, this pillow will feel soft and silky against your head while the down has been through a unique double wash and quadruple rinse to make it great for allergy sufferers as well. This pillow comes in three sizes so you can match it to any size bed.